Pets are a bit different in everyone’s family. To some they’re just pets while others they are a best friend, a companion or family member. No matter what your pet is to you (Jack is my baby) ultimately you are responsible for their care and safety. Just like children (or you and I for that matter) pets can get sick, hurt or lethargic. Having everything you need on hand to take care of them is essential. 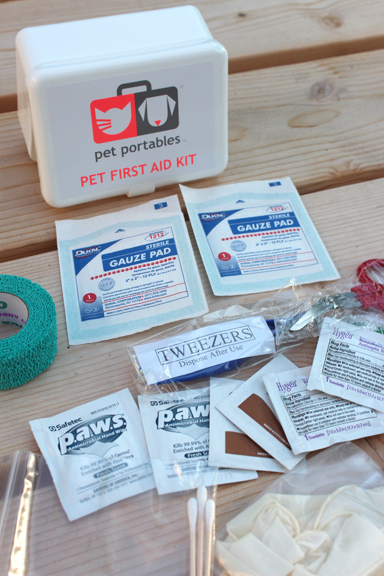 For just $25 Pet Portables offers a Pet First Aid Kit that supplies all the basic amenities for traveling with your pet. 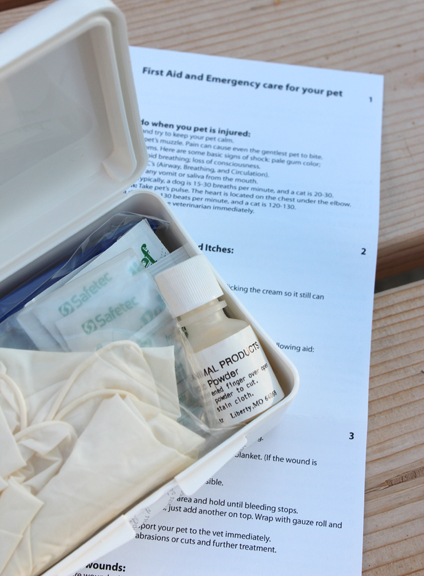 Do you have a First Aid Kit for your pet? This is such a good idea! You never know when you could need something. Oh this is a great idea! Where did you get this at a pet store? I think this would be great to just have, in case anything happens.